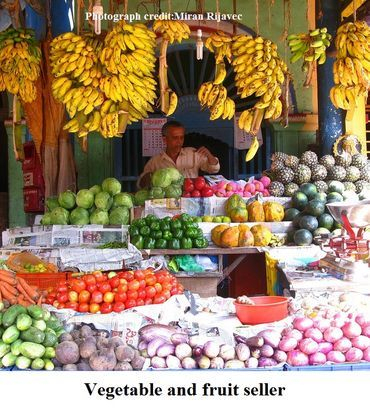 Fruit and Vegetables in Goa - Food or Poison? Daily consumers of vegetables and fruit must be wary of the inadvertent ingestion of pesticides, chemical fertilisers and other chemicals that can eventually prove to be deadly. The endosulfan pesticide disaster in India is one that is difficult to dismiss, with its damage amounting to cases of cancer, mental retardation, physical deformities, infertility, etc. More recently there have been reports of ginger being cleaned with acid, and the long-term consumption of this sort of ginger can lead to cancer. Calcium carbide used to artificially ripen fruit has carcinogenic effects too. Silicone is sprayed on fruits and vegetables to slow down the ripening process while oxytocin is injected to make them appear larger and fresher than they are. Sellers claim that these chemically induced manipulations are directed towards keeping the prices low. But are low-cost vegetables and fruit worth the cost of our health? Roland Martins, the co-ordinator of GOACAN, Madhav B Kelkar, the managing director of Goa State Horticultural Corp Ltd - Goa, and Jyoti J Sardesai, the director of the Directorate of Food and Drug Administration, Government of Goa, spoke at the seminar ‘Fruits & Vegetables – Food or Poison?’ held by the Anand Suman Charity Trust in memory of the late Dr Anand G Naik Kurade on the 20th of January 2018 at Sanskruti Bhavan, Panjim. ‘Nobody is keeping a gun to people’s heads and making them buy these vegetables and fruit. Of course, there are circumstances that make you buy certain things which you wouldn’t if you could avoid them,’ says Mr Martins. Citing an example of toilet paper being used to thicken lassi in Ponda to meet the customers’ demand of low-priced creamy lassi, Martins pointed out how unrealistic expectations from consumers, apart from lack of awareness, can be part of the problem. Lax authorities can be made to act through the persistence in public demand for stricter measures. Martins says, ‘More than the government, it is the public that matters. The public makes the government. It’s not the government that makes the public. When we talk of consumer awareness, it has to be awareness for action.’ The goal is to use information in a tangible manner. Drastic changes may not be feasible but we can gradually make changes and informed choices that show that we are in earnest taking up our responsibilities as citizens. The state horticultural corporation outlets can sell produce, and dispense information about fruit and vegetables being tainted with chemicals as well. If consumers frequent the horticultural outlets, private sellers would then be compelled to change their ways. Mr Martins suggested that besides education and enforcement of regulations, an alternative to polluted produce should be provided through entrepreneurship ie encouraging people to grow their own organic vegetables and fruit on terraces and other viable spaces. There is an example of a ten-year-old girl growing her plants in plastic bags and winning a prize for the quality of her kitchen garden. This proves it can be done no matter how small the space. Forming a network of kitchen garden clubs in schools, which are part of a government scheme, will serve as motivation to the younger generation to grow their own crops. Another remedy to the situation would be the partnering of the Agricultural Department with the Consumer Affairs Department and getting people to register their complaints to alter the situation. The public can also be supportive by backing the various related campaigns. Madhav B Kelkar spoke about the role of horticulture in quality control of fruits and vegetables in Goa. What consumers normally look for in quality control is freshness, the right colour and size of the produce and freedom from pests, grime, and disease. However, the consideration of food safety, which is the most important aspect of quality control, is usually ignored. What we assume to be high quality products according to the other parameters of quality control, can be deadly as well, because of the use of chemicals that are not easily detected. Quality control begins with the fields where the crop is grown, where the soil should be free of chemicals, animal and human faeces, pests and harmful micro-organisms, and so on. Oftentimes farmers have no option but to use water contaminated with sewage and gutter water that will prove detrimental to our health eventually. 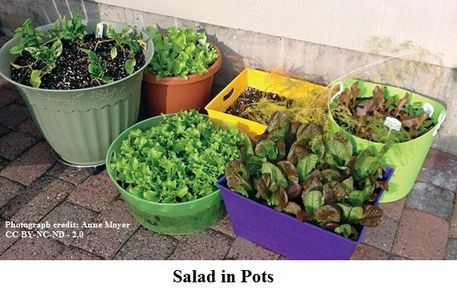 Produce should be stored safely away from rats, lizards, and other pests like weevils. It should not be handled by people with contagious diseases. IPM (Integrated Pest Management) starts with seed treatment and land preparation. After the previous crop’s debris has been cleared, the land should be ploughed and left in that state for a while to allow sunlight to eliminate diseases and pests. 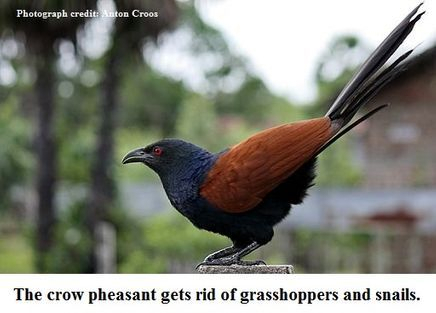 Birds will also have an opportunity to dispose of pests by consuming them. Fruit fly traps can be used, as well as tricho cards that destroy the larvae of pests within the egg. Weeding and mulching need to be done. Greased yellow and blue card paper can rid the vegetable plot of pests that are attracted to these colours and stick to them. Placing sticks that act as perches for birds will encourage the birds to eat plant pests. Organic pesticides like panchagavya, ginger-garlic and neem-based mixtures can be used. Clean implements and baskets should be utilised for harvesting and the produce should washed in clean water. The Goa State Horticultural Corporation tries to maintain quality control and rates, and conducts regular market surveys and inspections. Complaints of vendors and consumers are redressed by the Horticultural Corporation, who also conduct training programmes for farmers. ‘We cannot have uniform quality of fruits and vegetables around the year,’ says Kelkar, emphasising the media’s tendency to sensationalise the high rates of vegetables and fruit. June-July and October-November are times of poor quality fruit and vegetables. This is because the lifespan of the standing crop is nearly over, the remainder is uprooted to prepare the land for sowing again. This is the time of scarcity of produce. Heavy monsoon showers can drench the produce and cause them to rot. Produce can be damaged in transit when it is brought in from other states and due to mechanical injury. Speaking on the FDA’s (Food and Drugs Administration) role in awareness of food safety, Jyoti J Sardesai explained that food included any edible item and drinks meant for human consumption. Food business operators would include anyone involved in producing, selling, or importing food ie small ghaddawalas to seven star restaurants, small-scale masala manufacturers to large multinational companies, canteens in schools, colleges, offices, temporary stalls in exhibitions, zatras, feasts, temporary sheds, religious institutions for distribution of prasad. Around 25 thousand food operators are registered and the efforts to get others registered is on. The FDA is making these food operators aware of food safety with the help of the two teams in North Goa and South Goa. They have a mobile food testing van and carry out late night inspections checking on street food vendors. The Food Safety and Standards Act has made the FDA the only regulatory body for different food related activities. This Act allows for penal provisions depending on the gravity of the violation. Small violations like not having proper labels or wrong branding are judged by North Goa and South Goa collectors and only a fine is imposed. More serious violations that include injuring the health of someone would require the filing of a court case against the violator. Food operators should conduct their businesses ethically and the consumers should complain about or boycott food businesses and vendors that have unhealthy food practices. The FDA has conducted a special seminar to prevent the artificial ripening of fruit; an awareness programme was held over 2-3 years to teach sweet manufacturers about health and safety in food manufacturing; sessions have been held for bakers; and training of street vendors has been conducted, etc. Teachers have been taught about safe and nutritious food and self-help groups have been trained in being conscious of food safety. The FDA has also been giving lectures at schools. 'Food Safety Connect' is an app developed by the Food Safety and Standards Authority of India (downloaded from Google Play Store), which allows consumers to lodge complaints against unethical food vendors or grocery sellers. There is also a toll free number and a website that can be used to lodge a complaint.